Kate is responsible for the BBC’s entertainment strategy and output of BBC One, BBC Two, and all digital entertainment including BBC Three and BBC Four. She commissions more than 500 hours of original programmes a year, including shows such as Strictly Come Dancing, All Together Now, The Apprentice, Top Gear, The Graham Norton Show, Have I Got News For You, Would I Lie To You, Room 101, Masterchef, Dragons’ Den, Robot Wars, Comic Relief and the BAFTA Film Awards. Before taking up this role, Kate was Creative Director of Formats for BBC Worldwide. In this role Kate oversaw all of BBC Worldwide’s scripted and non-scripted formats, over 200 in total. She led the Formats team in London and worked closely with Sales and Production teams across all of BBC Worldwide’s Global Territories. 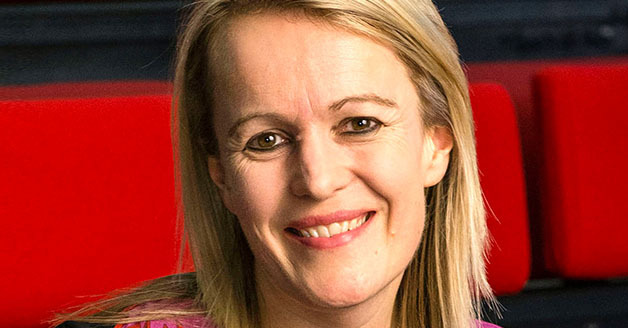 Prior to this Kate worked as Channel Executive for BBC1 and BBC3, working closely with the Controllers to oversee all editorial content on both channels, managing early development of commissions and formatting and liaising with scheduling, budgeting, marketing, press, and social media planning and strategy. Kate’s extensive TV production experience was garnered through producing numerous comedy and entertainment shows for many broadcasters, as well as being a co-owner and Director of Mast Media, an award winning television formats company which developed multiple shows airing on the BBC, ITV, Channel 4 and across the globe. Kate also created and ran the successful BBC training scheme Future Formats and resided as the BBC Formats Representative on the European Broadcast Union. In this role she helped devise and establish the annual Creative Forum in Berlin. Kate has a degree in Politics from Bristol University.